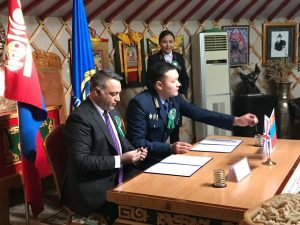 FarmaTrust, a UK blockchain startup and global tracking system has officially signed a partnership with the Mongolian government to pilot a one-year project aimed at preventing the creation and distribution of counterfeit medications. The project will include both governmental and non-governmental parties in Mongolia, including the Specialized Inspection Agency of Tuv Province of Mongolia and the Mongolian e-Government Center NGO. 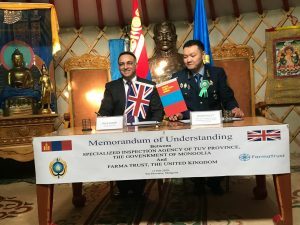 The pilot project will kickoff in the Tuv Province, a province outside of the capital city of Ulaanbaatar. Immediate tasks include conducting feasibility reports and helping government monitoring and inspection of pharmacies, and pharmaceutical supply chains, including warehouses and retailers. FarmaTrust is providing the knowledge and experience in blockchain supply chain tracking with the goal of creating an immutable ledger that can track and secure pharmaceutical supply chains using big data and artificial intelligence. FarmaTrust has received widespread support from major media and organizations interested in helping eliminate the counterfeit pharmaceutical industry that results in over 120,000 deaths per year. ical companies, governments, regulators and the public, that counterfeit drugs do not enter the supply chain. Our Blockchain based system utilizes Artificial Intelligence and big data analysis to provide the pharmaceutical industry with value added services which allow for more efficient processes and methods as well as a more transparent supply chain. Our system is safe, secure, encrypted and immutable.